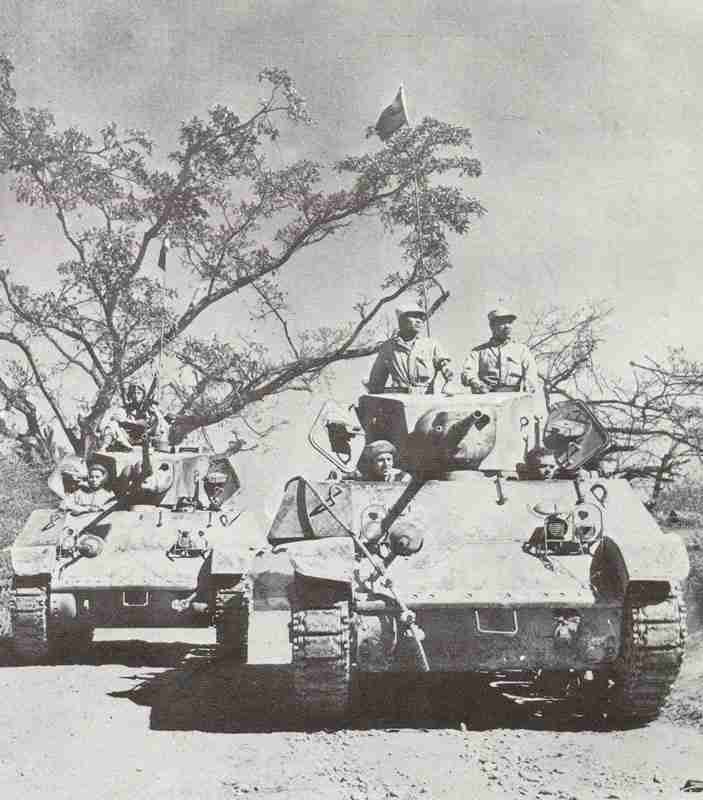 Chinese- and American-crewed M3A3 Stuart light tanks advancing down the Ledo road against Japanese-hol positions at Myitkyina. US tanks reach Rennes (Brittany). Chinese capture Myitkyina (Northeast Burma). US carrier planes attack shipping in Bonin Islands (August 3 and 4).